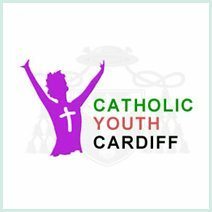 The Archdiocese of Cardiff is grateful for all the hard work that their priests, school chaplains and volunteer catechists and those who run youth groups have done and continue to do for our youth in the diocese. We are excited to have employed our first part time youth Chaplain for over a decade. He is working hard in conjunction with those involved in our apostolate for the youth looking towards building a plan for youth ministry in the diocese. The Diocesan Youth Service provides opportunities for encounter and to ask the big questions by organising retreats and events throughout the diocese. The Diocesan Youth Coordinator aims to support local youth workers and schools in their work with your youth to encourage them in the Faith and bring them to a deeper encounter with Jesus Christ. Looking to the future we have many exciting opportunities for the youth of the Diocese, more information for which can be found under ‘Looking to the future’.